This article is about the live album. For the concert film, see Yessongs (film). Yessongs is the first live album by the English rock band Yes, released as a triple album in May 1973 on Atlantic Records. After completing their Close to the Edge Tour in April 1973, the band selected live recordings between February and December 1972 on their tours supporting Fragile (1971) and Close to the Edge (1972) for a live album release. They were then edited and remixed with their producer and live sound mixer Eddie Offord. Three tracks feature original Yes drummer Bill Bruford while the remaining tracks feature his replacement, Alan White. Yessongs received a mostly positive reception from music critics, though much of its criticism was directed at its sound quality. However, the album was a commercial success for the band, reaching number 7 on the UK Albums Chart and number 12 on the US Billboard 200. In 1998, the album was certified platinum by the Recording Industry Association of America (RIAA) for selling over one million copies in the United States. In 2015, recordings of seven shows from late 1972, including ones that were used in the original album, were released in their entirety as Progeny: Seven Shows from Seventy-Two. In September 1971, the Yes line-up of singer Jon Anderson, bassist Chris Squire, drummer Bill Bruford, guitarist Steve Howe, and newcomer keyboardist Rick Wakeman embarked on their Fragile Tour in support of the band's fourth studio album, Fragile (1971). The tour saw the band play across the United Kingdom, the United States, and Europe until March 1972. Following the recording of their fifth studio album, Close to the Edge (1972), the band resumed as a live act on 30 July 1972 to support the album. The tour saw the debut of drummer Alan White in the band after Bruford left when recording for the album had finished. His departure came eleven days prior to the tour's start, leaving White to learn the band's repertoire in three days. The tour ended in April 1973, by which time Yes had made additional live recordings. The Fragile and Close to the Edge tours had producer and engineer Eddie Offord travelling with the band as their live sound mixer who operated a sound system developed by the Clair Brothers. In addition, co-founder Roy Clair assisted with the operation of the system, and Geoff Haslam was hired as the recording engineer alongside assistant Mike Dunn to work on Yessongs. As Offord was in charge of the band's sound on stage, he could not operate the recording equipment at the same time. This resulted in recordings that he was disappointed with as they were substandard. When it was time for the album to be edited and remixed, Offord and the band retreated to studio 2 at Advision Studios in Fitzrovia, London to complete it. Howe recalled the group treated the mixing process with as much care and importance as one of their studio albums with careful consideration to the preparation of the various edits and the finished product. Yessongs begins with "Opening (Excerpt from 'Firebird Suite)", a piece of the closing section to the orchestral work The Firebird (1910) by Russian composer Igor Stravinsky. Yes have used the piece as the introductory music to most of their concerts since 1971, the year of the composer's death. The track segues into "Siberian Khatru" from Close to the Edge. "Perpetual Change" and "Long Distance Runaround"/"The Fish (Schindleria Praematurus)" were recorded during the Fragile Tour with Bruford on drums, and feature extended solos from Howe, Bruford and Squire compared to the studio versions. "Excerpts from 'The Six Wives of Henry VIII'" is a keyboard solo spot formed of a medley of excerpts from Wakeman's first solo album, The Six Wives of Henry VIII (1973), that he recorded during the Fragile and Close to the Edge tours. The solo is preceded by Anderson singing notes from the opening of the orchestral work The Rite of Spring (1913) by Stravinsky. Yessongs includes a live rendition of "Starship Trooper" from The Yes Album (1971) which is also the first time the band performed it live. The album's liner notes do not list the track's recording dates, but audio comparisons of the album and the seven full recorded shows from the Close to the Edge tour officially released on Progeny: Seven Shows from Seventy-Two (2015) can be made, in addition to the soundtrack to the band's concert film, Yessongs (1975). 1 November 1972 at Ottawa Civic Centre in Ottawa, Ontario – "Roundabout"
12 November 1972 at Greeensboro Coliseum in Greensboro, North Carolina – "Heart of the Sunrise", "And You and I", the second half of "I've Seen All Good People"
15 November 1972 at Knoxville Civic Coliseum in Knoxville, Tennessee – "Siberian Khatru", the first two thirds of "Excerpts from 'The Six Wives of Henry VIII'", "Yours Is No Disgrace"
20 November 1972 at Nassau Coliseum in Uniondale, New York – "Opening (Excerpt from 'Firebird Suite')", the final third of "Excerpts from 'The Six Wives of Henry VIII'", "Mood for a Day"
15 and/or 16 December 1972 at the Rainbow Theatre in Finsbury Park, London – "Close to the Edge", "Starship Trooper"
The album was originally presented in a gatefold sleeve with artwork designed and illustrated by the band's longtime associate, artist Roger Dean. His brother Martyn was responsible for its layout and additional photography, featuring shots of each member performing in concert. Dean described his involvement on the album as "the most elaborate and complex package" of his career at the time which consisted of three albums worth of artwork plus a booklet. The large space for Dean's work allowed him to continue a theme that "implied a story" that he had introduced in the artwork on Fragile, of which its back cover portrays a planet breaking into pieces and a spacecraft in flight, and had continued on the sleeve on Close to the Edge. Dean recalled that talks about the album's artwork were scarce until he presented the group with a rough version of his "Pathways" painting which was well received. The positive reaction led Dean to link his four paintings on Yessongs to continue the narrative. However, Dean had to redesign a new broken planet to the one on Fragile as the pieces of land that break off were too square shaped, so the pieces seen on Yessongs are more triangular. The first painting, named "Escape", shows the spacecraft and a planetary fragment drifting through space, finding a new world. "Arrival" depicts these fragments landing in the waters of the new world, with "Awakening" showing signs of new life starting including plant and animal species. The final image, "Pathways", depicts the emergence of civilisation with a city in the background. The version with the girl sitting on top of the pathway structure was not in the original and was painted separately but added by the printers. While Dean was working on the latter, his cat walked across this piece whilst still wet and its paw prints can be seen in the sky area. Dean tried to disguise them as clouds but it did not produce results he had wished for, so they remained visible. After it was photographed for the sleeve, Dean's cat urinated on the painting as it was standing against a wall, causing Dean to paint a new version that he said "looked quite different to the reproductions of it". In June 2013, Dean filed a $50 million lawsuit against director James Cameron for copyright and contributory infringement and unjust enrichment, claiming the design of Pandora, a fictional setting in Cameron's epic science fiction film Avatar (2009) and the highest grossing film of all time, was based on Dean's paintings including "Pathways" and used without permission. The lawsuit was thrown out by judge Jesse M. Furman in September 2014 who disagreed and believed the court found no substantial similarities between the film and Dean's artwork. 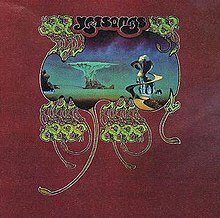 Yessongs was released in May 1973; its release in the United States was on 4 May. It was originally planned for February 1973, prior to the start of the band's early 1973 North American tour, but delays in printing its cover led to its release pushed back. It peaked at number 7 on the UK Albums Chart  and number 12 on the US Billboard 200. The album reached gold certification in March 1974 by the Recording Industry Association of America (RIAA) for 500,000 copies shipped in the US. In 1998, the RIAA certified Yessongs as platinum for shipping one million copies, becoming one of the band's highest selling albums. Variety published a positive review, noting the album shows the band at "their exciting best". Band biographer Tim Morse thought the album's downfall was its substandard audio quality despite the band's strong performances. 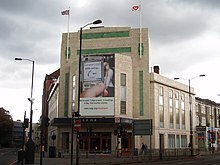 The show on 15 December 1972 at the Rainbow Theatre on London, UK was filmed and released in 1975 as the concert film Yessongs. 2. "And You and I"
1. "I've Seen All Good People"
1. "Close to the Edge"
III. "I Get Up, I Get Down"
Credits are adapted from the album's 1973 and 1994 liner notes. Bill Bruford – drums on "Perpetual Change", "Long Distance Runaround", and "The Fish (Schindleria Praematurus)"
^ a b c d e f g h Yessongs (Media notes). Atlantic Records. 1973. K 60045. ^ Progeny: Seven Shows from Seventy-Two (Media notes). Rhino Records. 2015. 081227956417. ^ Yessongs: 40th Anniversary Special Edition (Media notes). Odeon Entertainment Group. 2012. ODNBM002. ^ "(1973) Australian Tourbook". forgotten-yesterdays.com. 2015. Retrieved 16 May 2015. ^ a b c d "Facebook – Yes (Official) – Post from 21 April 2015". Facebook. 21 April 2015. Retrieved 13 August 2017. ^ a b van Starrex, Alex (25 September 2003). "A Roger Dean Lecture". The Yes Australian Tour Site. Retrieved 19 August 2017. ^ Tiano, Mike (2008). 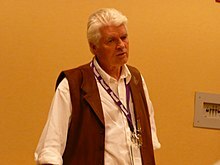 "NFTE #308: Conversation with Roger Dean from 3 September 2008". Notes from the Edge. Retrieved 13 August 2017. ^ Patten, Dominic (29 June 2013). "Fox & James Cameron Slapped With $50M 'Avatar' Copyright Suit By Album Cover Artist". Deadline. Retrieved 13 August 2017. ^ Patten, Dominic (18 September 2014). "James Cameron Wins Another 'Avatar' Lawsuit". Deadline. Retrieved 13 August 2017. ^ a b Morse 1996, p. 40. ^ a b Yessongs (Media notes). Atlantic Records. 1994. 7567-82682-2. ^ "UK chart history – Yes Yessongs". www.chartstats.com. Archived from the original on 31 July 2012. Retrieved 17 September 2011. ^ Billboard albums chart info – Yes Yessongs at AllMusic. Retrieved 17 September 2011. ^ Planer, Lindsay. Album review Yes Yessongs at AllMusic. Retrieved 17 September 2011. ^ Tiven, Jon (7 June 1973). "Yes: Yessongs". Music Reviews. Rolling Stone. Archived from the original on 20 February 2009. Retrieved 22 June 2012. Roger Dean (30 April 2012). Yessongs: 40th Anniversary Special Edition - Yessongs: 40 Years On documentary (Blu-ray). Odeon Entertainment. ODNBM002. This page was last edited on 15 March 2019, at 08:40 (UTC).